In 2016, Oxenfree took the gaming world by surprise. 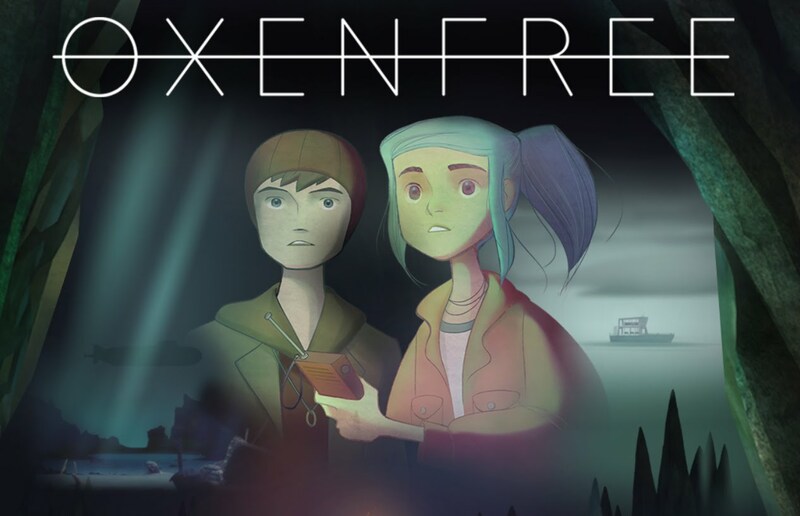 Released by debut studio Night School Studio and playing to the same 80s vibe that acclaimed TV series Stranger Things did, Oxenfree quickly made its mark on the YouTube Let’s Play scene. Gamers were fascinated by the odd mysteries that Night School Studio had crafted, and the music, created by eclectic composer Scntfc, put the soundtrack in high demand. It was its characters and the game’s approach to narrative, though, that made Oxenfree so outstanding. Let’s start with the characters. Oxenfree follows a central cast of five high schoolers named Alex, Jonas, Clarissa, Ren, and Nona. Alex stars in the game and Jonas plays a close second as her new stepbrother. Ren is her childhood best friend and gets a significant amount of dialogue as well. Clarissa and Nona are important, but aren’t as central to the story. There are also a number of secondary characters, like Alex’s biological brother, Michael, a mysterious group known as The Sunken, as well as characters who are referenced throughout the game. The game has an extensive amount of exploration and a number of light puzzle elements to it, as well as a unique radio feature that lets the player tune in to otherworldly signals for hints as to what happened on the island. However, given the lack of traditional gameplay, there are large sections of the game where the player doesn’t technically ‘do’ anything except walk . . . and talk. Alex, Ren, and Jonas from Oxenfree. Oxenfree’s genius lies in its character relationships and the way those unfold, so it’s impossible to talk about characterization without discussing narrative options at the same time. As the player walks around the island, there is a nearly unceasing amount of dialogue occurring between Alex and her friends. In fact, you could say your dialogue choices are the primary gameplay mechanics. Choices you make influence how others feel about you, how they talk to you, and how they respond to your decisions. For instance, when faced with a choice about who to bring with you to the beach, picking one character over another will leave the person you left out resentful for the rest of the game. Of course, you can always try and patch things up with them later, because Oxenfree affords conversations down the road where you can discuss past actions. Then again, even apologizing might not be enough to patch things up entirely once you’ve hurt somebody’s feelings. Do these impact the game? Not in the sense of the science fiction plot, but they do influence the ending, who ends up dating who, and what your relationship with those characters is like once Oxenfree concludes. Narrative reigns supreme, and what you say will have an impact on the feelings of everyone around you. Why should you care about how these characters feel? Because the dialogue is good. As you explore the history of each character and talk to them longer and longer, you become attached to everyone. They feel like genuinely real people. Well, real people who are still in high school, with all of the same insecurities, occasional shallowness, and fears. Alex and Mike from Oxenfree. Some scenes will break your heart. The writing is of such quality that many of these characters are likely to remind you of people you knew growing up. Clarissa is bossy and needs to have things her way, but she genuinely cared about Mike and is carrying a lot of baggage. Ren wants to impress Nona, but the minute someone tries to broach the topic with her, he has an insecurity meltdown. Jonas is looking for a home and a place to belong following the death of his mother. And Alex . . . She’s special. She keeps the group together when it’s about to fall apart and encourages people when they’re down. At least, she did in my play through (but that’s because I make good choices). Part of why these character dynamics are so amazing is because of how they unfold. You have a very limited window in which to make your responses, and sometimes you’ll find yourself interrupting other people or talking over them, just like you would in real life. This adds a very genuine, very natural feeling to the dialogue. There are times you’ll say something off the spur of the moment and find yourself regretting it within half a second, something most people can relate to. The natural back and forth, the commitment to creating layered, complex characters, and the genuine sense that these characters are worth caring for is what carries the game. While other games might be content to ride the backbone of the 80s-esque science fiction mystery at play, it’s the way these people interact with one another, hurt each other, or uphold each other, that makes Oxenfree a standout example of narrative in gaming fiction. Oxenfree is available on PS4, XBox One, PC, and was just released for iOS.